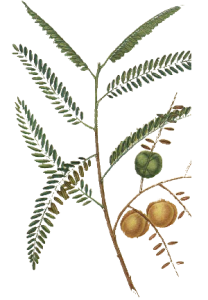 Also known as the Indian Gooseberry, amla is combined with chubelic and belleric myrobalans to make triphala. It is in this form that it is used in Spice of Life’s products. Amla has a Vitamin C content twenty to thirty times that of a regular orange. This makes it a valuable antioxidant as well as bolstering our bodies’ immune system and healing process. This spice can assist your digestive system by strengthening absorption and assimilation of food into the body. It also helps in the absorption of calcium which makes it beneficial for your bones, teeth, nails and hair – assisting them to stay in good repair. Protein synthesis is enhanced by amla. This means that regular use of amla strengthens bodily tissue, especially muscles. Combined with it’s antioxidant properties, this means that amla is a valuable part of the diet for those who exercise regularly. ‘Bad’ cholesterol is also reduced by amla. Subscibe to get regular nuggets of wisdom.